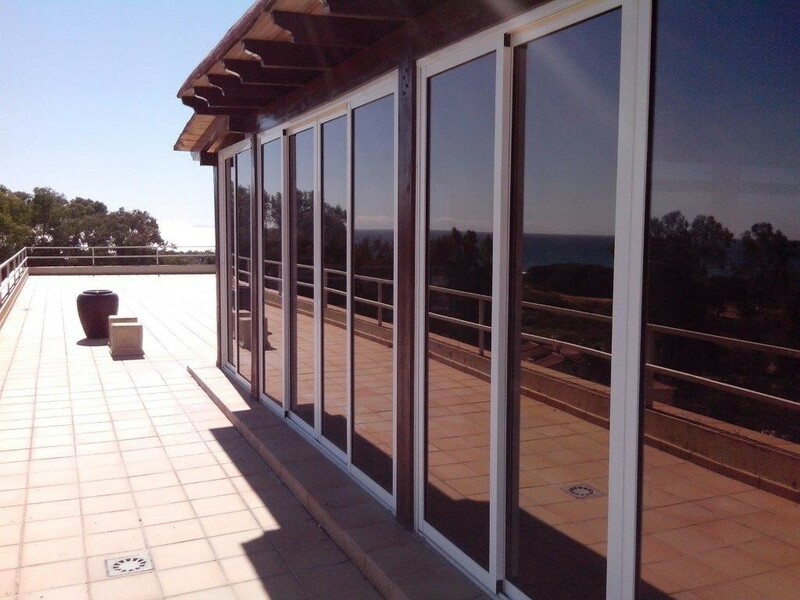 Architectural glass film INFRARED – repels heat from direct sunlight and prevents heating of the room from direct sunrays for about 50%. Visibility is very slightly affected both ways. Film protects colors and objects from fading due to sunlight. Repels up to 99% UV radiation. 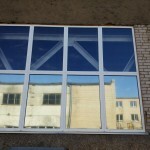 Architectural glass film SILVER – inside out transparency, looks like mirror from outside. 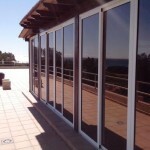 Prevents room and glass from heating up and repels sunrays. 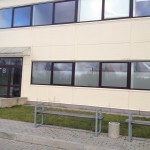 Architectural glass film BRONZE – one way visibility – inside out. From outside looks like bronze tinted mirror. 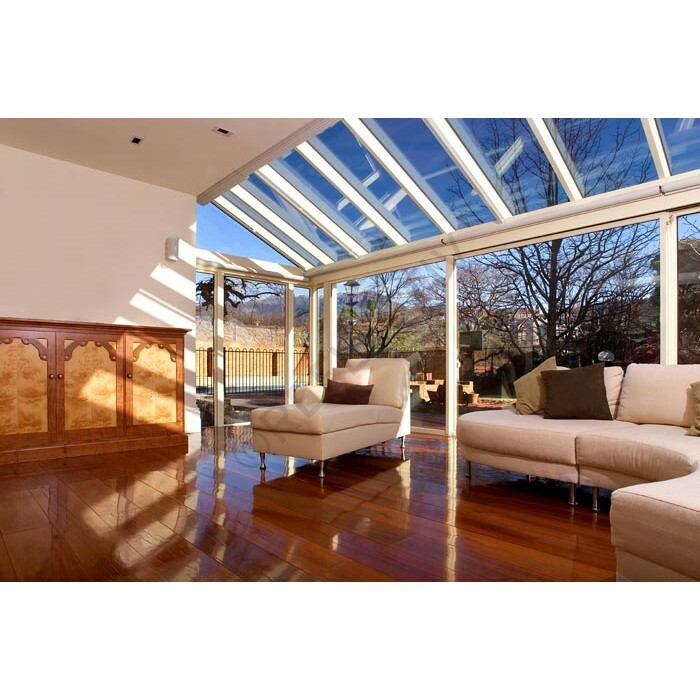 Doesn’t heat up the room in summer and spring, partially reflects sunrays. Window heating is minimal. Film protects colors and objects from fading due to sunlight. Repels up to 99% UV radiation. 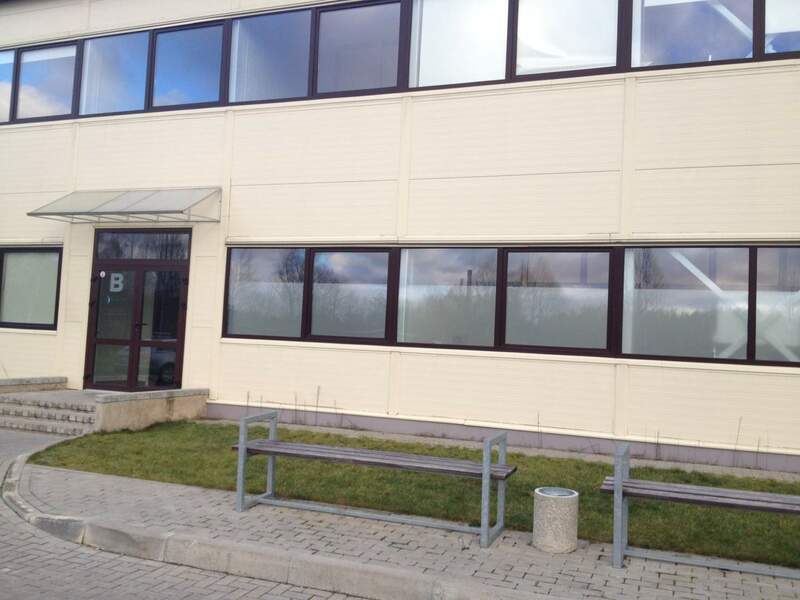 Architectural glass film SANDBLAST – no transparency. Looks like matte finish. Repels 100% UV radiation. 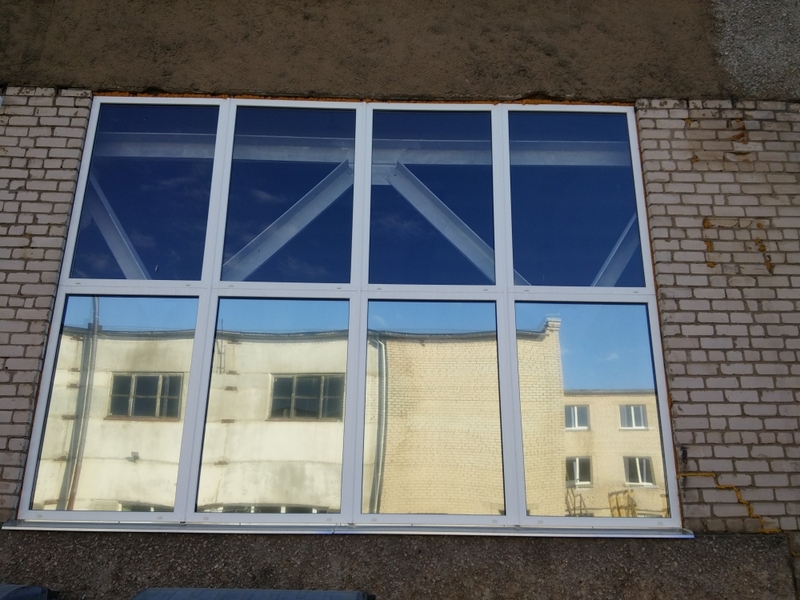 Usually used in factories and room dividing walls.